Arts at Denver will become Arts at Denver OnLine as of June 1st, 2019! The gallery will close on Gaylord Street on May 18th. In September we hosted "American Fauves: the Wild Ones, American Landscapes & Gardens". We welcomed nationally recognized artists Erin Hansen and Cynthia Rosen as Guest Artists.It was spectacular! 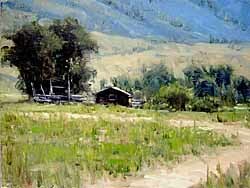 Congratulations Janet Anderson, Mike Clark and Carol Jenkins for your admission to the 2018 Coorado Governors Show! We are very excited to welcome Theresa Conklin to Arts at Denver. Her enthusiasm is infectious and her creativity unbounded. THeresa is a wonderful visual story teller! 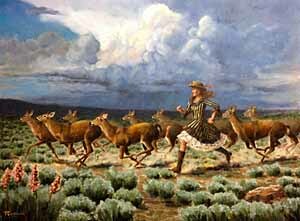 The painting pictured is "Running with the Girls". Everyone loved it right away and it sold right away too! Jeremiah J. White was invited to exhibit in the "MIniatures and More" Show at the Albuquerque Museum. Sheri Farabaugh was awarded Honorable Mention in the Realism category at the 23rd Annual National Exhibit of the Oil Painters of America in Bennington VT.
Southwest Art Magazine will feature Brenda Hendrix as an "Artist to Watch" in the August issue. 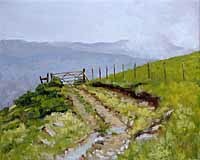 Brenda will be a featured artist in our upcoming Landscape show this September. 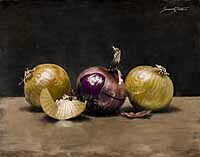 Vito also exhibited in Representing the West (Best of Show) and the Oil Painters of American National Exhibit. 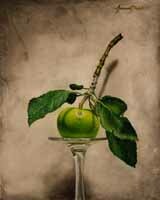 Watch for a feature article about Carol Jenkins in the October 2013 Southwest Art Magazine. Welcome Jeremiah J. White! Self-trained and only 32, Arts at Denver is the first gallery to sell one of Jeremiah's paintings. He will be featured as an "Artist to Watch" in the October Southwest Art Magazine. New works will arrive for our October "Beyond the Obvious" Show. 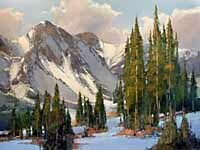 Six of our artists are in the 2013 Colorado Governor's Show in Loveland: Carol Jenkins, Sheri Farabaugh, David Mayer, Lani Vlaanderen, Patti Andre and Deb Kaylor. 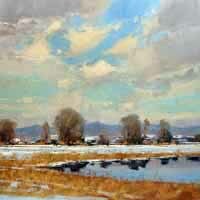 Teresa Vito won Best of Show in the "Representing The West Show and Sale"at the Sangre De Cristo Art Center in Pueblo. Lani Vlaanderen was awarded Second Place. Teresa will also be teaching in New York City this May. The workshop is called "Urbanscapes". 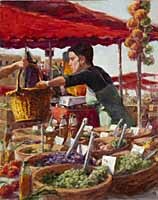 Julee Simmons is featured an as "Artist to Watch" in the August 2012 Southwest Art Magazine: "Eye on the classics". 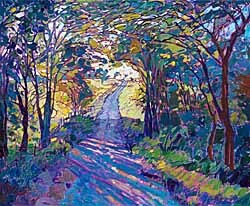 A new television series, "Emily Owens, MD ", has selected 12 paintings from the gallery to use as wall art in their preview. Emily Owens, MD is a Denver-based medical drama starring Mamie Gummer (Meryl Streep's daughter) that has been picked up by CW Network for its first season starting this fall. Chosen were 6 paintings by David Mayer, 4 by Brenda Hendrix and 1 each by Ginger Whellock and Patti Andre. 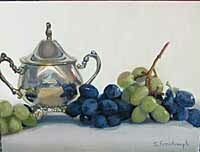 SusieHyer, Teresa Vito, Carol Jenkins, David W. Mayer, Mike Natale and Sheri Farabaugh were accepted in the 2012 National Oil Painters of America Show. 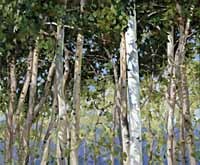 David W. Mayer selected for the Inaugural 2012 Jackson Hole National Museum of Wildlife Art "Plein Air Fest" Quick Draw. Sheri Farabaugh was accepted in the International Salon at the Greenhouse Gallery in San Antonio and the Scottsdale Salon, Legacy Gallery also Scottsdale. 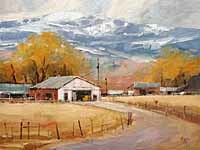 Southwest Art Magazine visited with Beverly Endsley in her Evergreen studio in the February 2012 issue. Stay in the gorgeous walled town of Lucignano! On the stunning Island of Korcula! 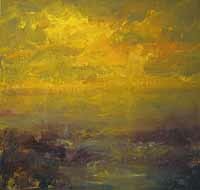 Southwest Art Magazine featured Beverly Endsley in the feature "My World" in March 2012. 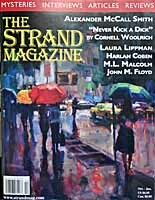 The Strand Magazine featured Ken Valastro's painting on their October 2011 issue. December 2011 was a month full of great news for Carol Jenkins. 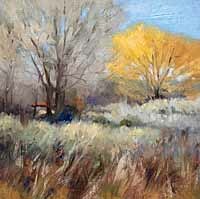 Her work was featured in "Portfolio: Landscapes" in the SouthWest Art February issue, she was accepted into the 2012 Colorado Governor's Show, and exhibited in the prestigious "The Russell: The Sale to Benefit the C.M. Russell Museum" in March. Paintings by Brenda Hendrix and Margaretta Caesar were chosen to hang in Senator Michael Bennet's offices in Washington D.C. through 2012. 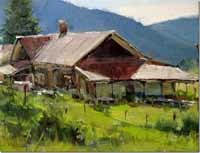 The 2011 Rocky Mountain Plein Air Artists show was rewarding for Arts at Denver Artists Teresa Vito and Carol Jenkins. Vito was awarded "Best Body of Work" as well as the Art of the West "Editors' Choice Award". 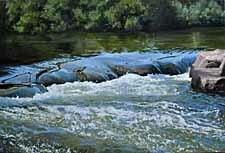 Carol Jenkins won a Southwest Art "Award of Excellence". 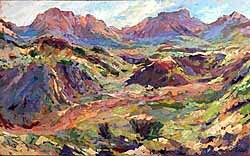 Land and waterscape artists need constant reference material, so Farabaugh is fortunate to live in the gorgeous state of Colorado in the summer, and the intense desert state of Arizona in the winter. 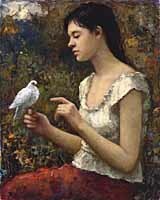 It is her desire to transport the viewer directly to the moment she has captured and hope they find the peace and power that only nature can give. Teresa Vito wins Best of Show! 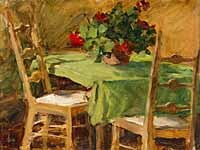 PAAC lived up to its billing: “Quality Fine Art by the country's most talented Plein Air Artists! Teresa Vito took the Best of Show Award with “Crested Butte Poppies” which sold on opening night. 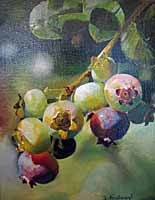 Fran Gottlieb won Best of Show in 2010. Teresa Vito won second place. 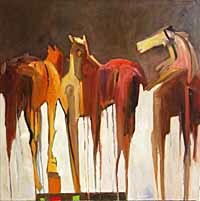 This spring Brenda Hendrix was invited to participate in the first annual "Icons of the West" show, running at the Dana Gallery in Missoula, Mt through September. 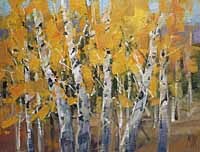 Brenda submitted her piece "Quaking Aspen". Teresa Vito will conduct a workshop in September on the Island of Hyrda, off the Greek coast. Ginger Whellock exhibited 3 paintings in the Women's Artists of the West Annual Show, WAOWING THE LONE STAR STATE. The show is held at the Rockport Center for the Arts on Rockport, TX from May 11 through June 4. Mary Ann Miro and Ken Valastro exhibited in "The 20th Annual Colorado Governor's Invitational Show" in April 2011. 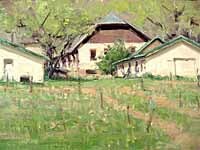 The show takes place at the Loveland Museum in Loveland, Colorado. GINGER WHELLOCK has been juried into SALON INTERNATIONAL 2011 sponsored by and held at Greenhouse Gallery of San Antonio, Texas. Whellock also exhibited in the PANHANDLE-PLAINS INVITATIONAL in February at the Panhandle-Plains Historical Museum. 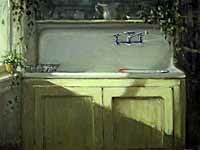 GINGER WHELLOCK exhibited in the 2010 Oil Painters of America Western Regional Juried Show in Jackson, Wyoming in October. 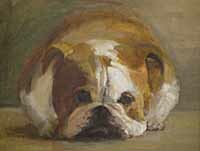 Ginger was featured in the October issue of American Art Collector. 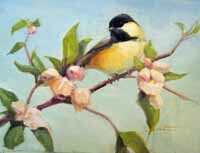 "Swallow Wings", a 24 x 30" oil painting by LANI VLAANDEREN, was sold in the 50th Anniversary Show of the Society of Animal Artists. The exhibit opened at the San Diego Natural History Museum in September, and is on exhibit through February 21, 2011 at The Wildlife Experience in Parker, Colorado. The show will move to Bolivar, Missouri and Norman , Oklahoma. 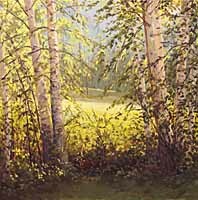 FRAN GOTTLIEB was awarded "Best of Show" in the PAAC (Plein Air Artists of Colorado) Show held in Denver in July 2010. LANI VLAANDEREN was invited once again to exhibit in the "Hearts of the West" Show at the National Cowgirl Museum and Hall of Fame in Ft. Worth, Texas in October 2011 . "I love to sell art. Knowing that the artist will be able to continue painting, knowing the piece will live in someone's home and become a part of their family's lives; it's the best feeling!" Paula was born in New York City and raised in Belguim. Her art career began when she taught craft lessons to children in her parents' Forest Hills apartment complex when she was seven, and designed cards for her parents' party invitations in Brussels. 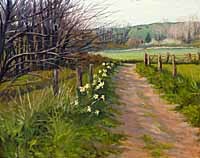 With a degree in Fine Art from the University of Colorado, Paula has been involved in galleries, painting and framing for almost thirty years. 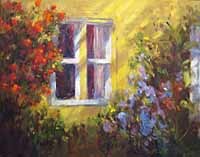 She works in oils, pastels and watercolors (when she has the time and energy) and has sold her own works to collectors around the world. 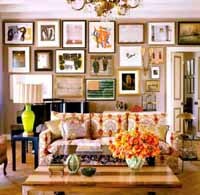 "Beautiful Art for Beautiful Homes"